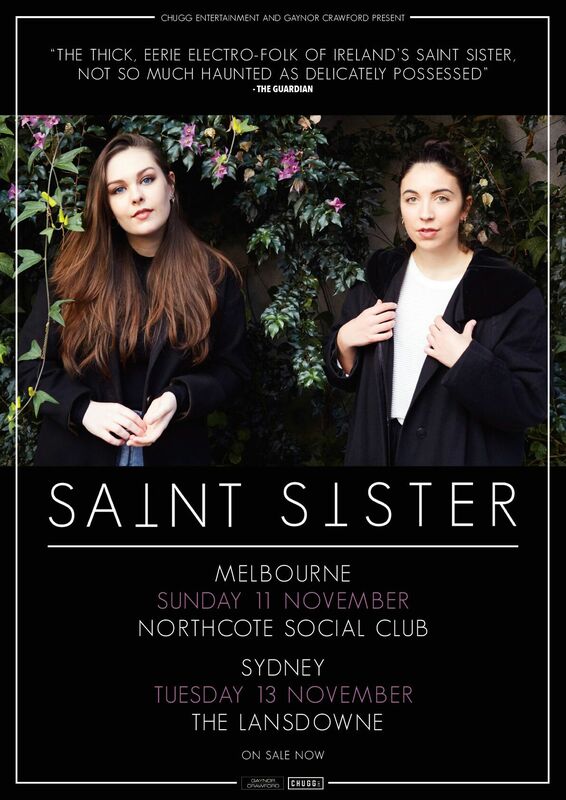 Irish electro-folk duo SAINT SISTER today reveal details of their first ever Australian headline shows. The enigmatic pair will take in Melbourne’s Northcote Social Club on Sunday 11th November, followed by Sydney’s The Lansdowne on Tuesday 13th November, adding to their already-announced November appearances at the Sydney Irish Festival and Mullum Music Festival. Formed in 2014, Saint Sister is friends Morgan MacIntyre and Gemma Doherty. Their music draws from early Celtic harp traditions, 60s folk and electronic pop to create ‘atmosfolk’—a mix of soulful vocal harmonies, dreamy synth and electro-acoustic harp. 2015’s debut EP Madrid garnered critical acclaim, gaining traction across Irish national radio and BBC Radio 1. Shape of Silence, their debut album will be released on October 5th, and ​was recorded with long-term co-producer Alex Ryan (Hozier). ​“We found a really good energy between the three of us, and over the course of time have started trusting each other’s instincts a lot more and getting comfortable pushing the boundaries”, explains Doherty of the recording process with Alex Ryan. The band has received support from the likes of Huw Stephens and Phil Taggart, as well as a multitude of press including NPR, The Guardian, The Independent, Stereogum, Metro, TLOBF and The Irish Times. The first single ‘Tin Man’ came in 2016 as part of Communion’s Singles Club; it was nominated for Song of the Year by the Choice Music Prize and saw the duo named Best Irish Band by readers of The Irish Times. 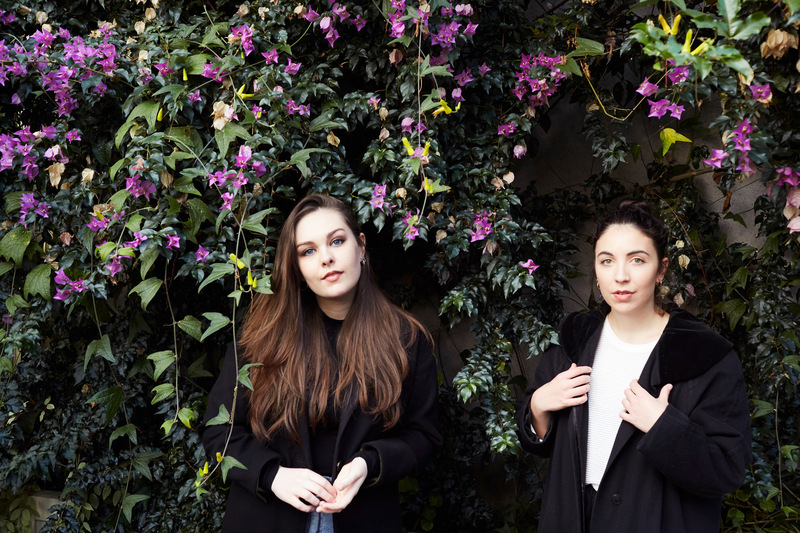 Saint Sister has performed at premiere music events across the globe, from Glastonbury and Latitude to The Great Escape, Electric Picnic and SXSW. They have supported the likes of The National, Arcade Fire’s Will Butler, and fellow Irish native Lisa Hannigan, and have held audiences captive at Dublin’s National Concert Hall and The Barbican, amongst other notable venues around the world. Their intimate live shows will delight Australian audiences this November and are absolutely not to be missed.